Ample scope to improve capabilities by N.S. Sisodia In India's 2011-12 Budget, Finance Minister Pranab Mukherjee has allocated Rs.1,64,415 crore ($ 36 bn) for Defence. An increase of 11.59 per cent over the budget estimate of Rs 1,47,344 crore for fiscal 2010-11, this amounts to just 1.8 per cent of the country's gross domestic product (GDP). According to the Stockholm International Peace Research Institute (SIPRI) database, India is among the world's 10 highest military spenders. However, its per capita defence expenditure is the lowest among the world's top defence spenders. Even as the percentage share of the GDP, India's defence expenditure has been lower than the global average. Many defence experts consider 2011-12 outlay highly inadequate, given India's dangerous neighbourhood. Pakistan is drifting into a chaotic state, while West Asia's turmoil seems to be getting more complex. The experts' biggest concern is China's growing assertiveness and huge military budget. According to SIPRI Year Book 2010, India's military expenditure has grown from $ 22 bn in 2000 to $ 37 bn in 2009, whereas China's has more than tripled during the same period, from $ 31 bn to $ 99 bn. In this context, critics of India's defence budget argue that it should have been a minimum of 3 per cent of the GDP. Such an expectation was, of course, unrealistic. Finance Ministers have to deal with a difficult challenge of balancing competing demands. In Mr Mukhejee's case, he had to address the worrying fiscal deficit and also meet a number of vital requirements of sectors like education, health and agriculture. He has, however, assured that "any further requirement for the country's defence will be met". This outlay needs to be viewed in the context of the chronic problem of underutilisation that ails the Defence Ministry. While examining the expenditure pattern in the years 2006-07 to 2009-10, the Sixth Report of the Standing Committee on Defence observes: "…notwithstanding the growth in the allocation, there is underutilisation of the allocations made to them (services) in all the years." Therefore, while advocating a higher outlay, the critics need to keep in view the current spending capacity of the defence establishment. A 3 per cent share of the GDP will amount to over Rs.2,69,000 crore, a jump of over Rs 1 lakh crore, which will be a wholly unrealistic outlay, as much of it will have to be surrendered. There is certainly a strong case for enhancing the defence outlay, by stages, to around 2.5 per cent of the GDP, but first the spending capacity of the defence apparatus will have to be augmented on the basis of a sound long-term national security strategy and capability development plans. The good news from the Defence Ministry is that last year it was able to fully utilise and, in fact, exceed its capital budget, meant chiefly for modernisation. Another positive feature is the growing share of the defence budget's capital outlay. The revenue-to-capital ratio was just 74:26 in the ninth defence plan; it increased to 63:37 in the tenth defence plan and this year nearly 42 per cent of the defence budget has been allocated to the capital head. This trend indicates an increasing emphasis on defence modernisation. Even within the constraints of a relatively modest defence budget, there is ample scope to improve the country's defence capabilities. The same resources can be innovatively applied to much greater effect. Substantial scope exists for securing greater value for money by harnessing the great potential of India's domestic industry. This would need sharing adequate information about capabilities (not equipment) required in the future, formulating broad specifications or qualitative requirements in consultation with the industry and encouraging the domestic private industry to participate in the procurement process. The manner in which specifications are currently formulated, most prospective Indian vendors get excluded from the competition. As in the developed countries, our defence forces will also have to learn the art of effecting performance - cost trade-offs and not always aspire for the most perfect equipment or weapon systems. Experience shows that reasonable compromises at the margins of performance parameters can result in huge time and cost savings and enable the local industry to enter the market presently monopolised by a handful of dominant global players. The second innovation can be to outsource logistics, product support and maintenance to the industry to the extent possible. This measure can lead to greater efficiencies and cost savings. It is a growing practice in the West. There is no need to own and manage non-core services, if these can be handled by industry or service providers. This practice will also lead to substantial savings in terms of smaller inventories and minimising their obsolescence. A third measure should be reform in project and process management combined with the intelligent use of information technology (IT). IT can greatly improve inventory management, logistics and in general decision -making. A major problem affecting many sectors in the country, including defence, is inordinate delays in project management. Given the huge outlays in defence, the cost of delays is particularly prohibitive. Speedier processing of major programmes and efficient project management can generate substantial resources for defence which can then be deployed for other vital capabilities. While a robust defence for the country requires more money, it is perhaps equally important to secure maximum value from the available resources. The writer, Director-General, Institute for Defence Studies and Analyses, was a Secretary in the Ministry of Defence. 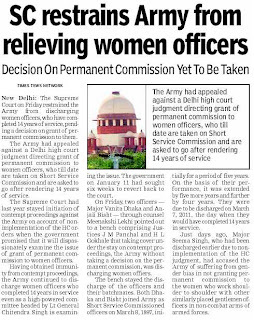 Legal Correspondent New Delhi, March 4 The Supreme Court today restrained the Army from relieving short service commissioned women officers from employment, pending disposal of a petition in the court. A Bench comprising Justices JM Panchal and HL Gokhale passed the stay order on six applications filed by affected officers, challenging the Army's move to relieve them on the completion of their respective tenure. 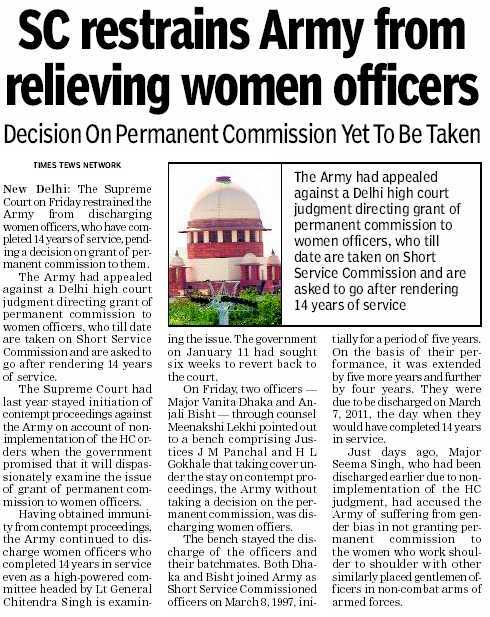 The Delhi High Court had directed the government to provide permanent commission to women officers, but the government had challenged the verdict in the Supreme Court. Singapore appoints Sikh as its Army chief PTI, Mar 5, 2011, 06.14am IST SINGAPORE: Singapore has appointed Brigadier General Ravider Singh as its next Army chief, the first Sikh in 30 years to be given the force's baton. Singh, 41, takes over from Major-General Chan Chun Sing on March 25, Straits Times reported. A Singaporean of Indian origin, Singh, is currently deputy secretary (technology) at the defence ministry. He joined the Singapore Armed Forces in December 1982. 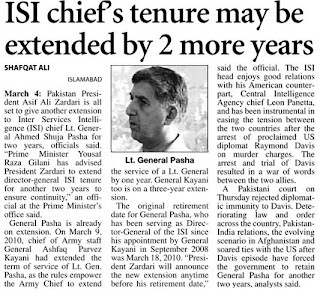 Singh also served as assistant chief of General Staff (plans), head of Joint Communications and Information Systems Department, and chief of staff - joint staff. 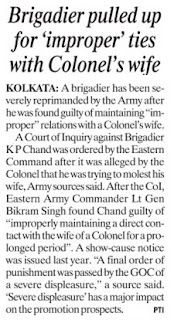 Brig Gen Singh is also the first non-Chinese Chief of Army in nearly 30 years. 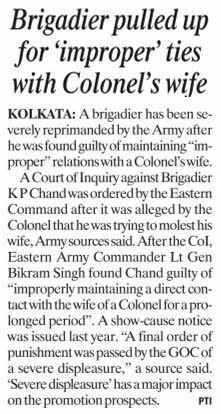 Colonel Mancharan Singh Gill was the first ever when he took up the post in 1982, the report said. Though Major-General Chan is retiring as announced by the Defence Ministry, local media speculates that he would be standing in the coming general election for a parliamentary seat under the banner of the ruling party People's Action Party. 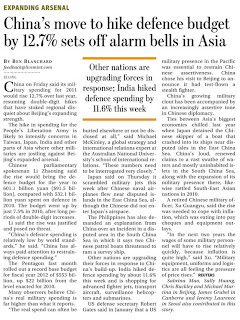 China hikes defence spend 13% to $91.5 billion Saibal Dasgupta & Rajat Pandit, TNN, Mar 4, 2011, 06.25pm IST BEIJING/NEW DELHI: China announced a stunning 12.7% hike in its declared defence budget on Friday, sending shivers down the collective spines of its neighbours, including India, as well as around the globe. 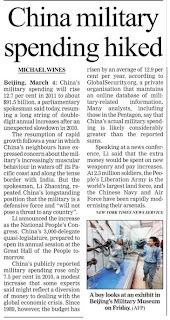 Beijing declared its military allocation for 2011 will be $91.5 billion, which comes just a few days after India pegged its annual defence expenditure at $36 billion. However, experts hold that China actually spends double the amount it officially declares on its 2.25-million strong People's Liberation Army. The US, of course, is in a different league altogether. It's annual military budget, which also funds operations in Afghanistan and Iraq, is well beyond $600 billion. The primary driver behind China's rapid modernisation of its armed forces, which has seen its warships now even being deployed as far as Gulf of Aden and beyond for the first time, is to deter US from interfering in its neighbourhood, especially vis-a-vis Taiwan. But just like China keeps a hawk-eye on the US, India has to closely monitor China. The Indian defence establishment cannot ignore the fact that China continues to harden its position in the boundary talks, show assertive behaviour all along the 4,057 km Line of Actual Control, expand strategic moves in Indian Ocean Region and help "all-weather friend" Pakistan build its nuclear, missile and conventional military arsenals. "Pakistan, we can handle...China remains the real long-term threat for us. Beijing, in fact, actively uses Islamabad to bog us down in South Asia," said a top Indian Army officer. China's 12.7% jump in its defence budget is a return, after a short gap, to its straight yearly double-digit hikes in military spending since the 1990s. 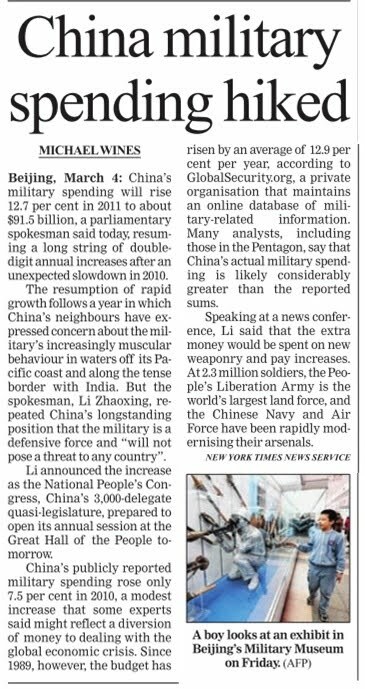 Li Zhaoxing, spokesman of the Chinese parliament, justified the increase by pointing to the levels of military spending by India and US. "It's true that China's defence budget is raised a bit, but the ratio of the defence spending in the country's GDP remains very low, much lower than those of many other countries," he said. Defence expenditure is 1.4% of GDP in China, added Li, while "that ratio in India is much higher than 2%". This, however, is factually wrong since as per finance minister Pranab Mukherjee's budget last week, India's defence expenditure is 1.83% of the projected GDP for 2011-2012. Li, on his part, tried to reassure India that the rise in China's military spending has no connection with its approach towards New Delhi. "China attaches great importance to friendly relations with neighbours...Seeking peace, cooperation and development is a shared view of all Asian people, including the people of China and India," he said. But India has reasons to worry. In fact, during the combined commanders conference in New Delhi a few months ago, the military top brass had urged the political leadership to factor China's ever-expanding transborder, cyber and space-warfare military capabilities into India's national security matrix. 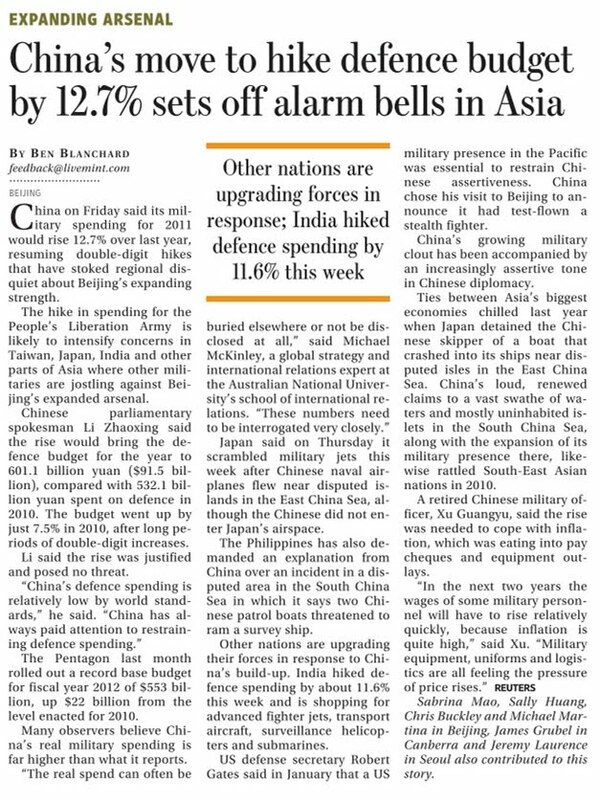 Even a normally cautious defence minister AK Antony holds that China is showing "increasing assertiveness" and India cannot afford to relax its guard. Flying instructors to graduate tomorrow PTI | 06:03 PM,Mar 04,2011 Chennai,Mar 4 (PTI)Twenty nine flying instructors,including one from the US Air Force will graduate from the Indian Air Force base at suburban Tambaram here. Twenty nine flying instructors, including those from Indian Army, Navy and the USAF will graduate tomorrow, at the end of a 'grueling' 24-week training package which includes academics and flying training, a Defence release here said. 'The Qualified Flying Instructors Course is a grueling 24-week package. The trainee flying instructors have to undergo 165 hours of contact classes during which they appear in 14 tests,' it said, adding, they were trained in Chetak helicopter and Kiran aircraft. New Delhi, March 4 – A Delhi court may have allowed closure of the Bofors pay-off case against Italian businessman Ottavio Quattrochhi, but the Indian Army will still continue to grapple with the Bofors ghost that has blocked its Rs.20,000 crore (Rs.200 billion/$ 444.8 million) artillery guns modernisation programme for over 24 years now. When India bought the 410 155mm guns from Swedish firm Bofors in 1987 for Rs.15 billion, it not only became a controversy that cost then prime minister Rajiv Gandhi his government in the 1989 general elections, but has also become a bogeyman for scuttling of all plans of the army to modernise its artillery. The kickbacks controversy also led to India dropping its original proposal to add another 1,000 Bofors guns and the army has remained content with that decision for nearly two and a half-decades now. Between 1987 and now, India has not bought even a single artillery gun and most of its existing guns in its arsenal are several decades old. But in 1999, when India fought a short, but bloody battle in the Kargil heights against Pakistani intruders, the most important gap in the army's preparedness was felt its ability to unleash its fire power and pound enemy positions using artillery. But what came in handy for the army were the much-maligned Bofors guns that boomed in the Kargil sector and were instrumental in winning the war for India. Army chief General V.K. 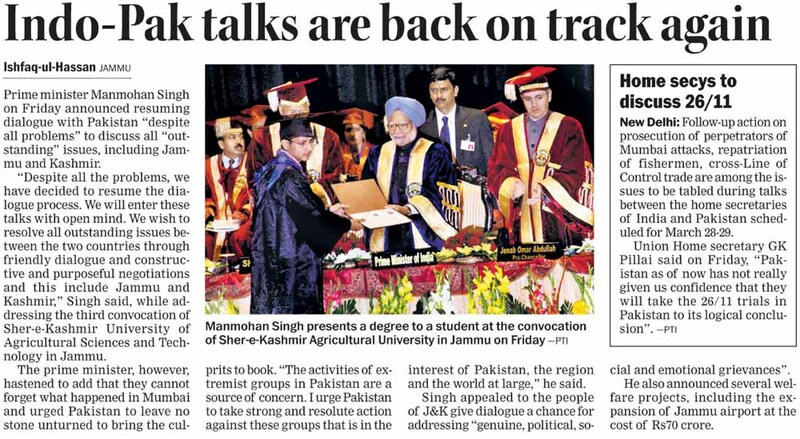 Singh himself has vouched for it when at an international artillery seminar in the capital last year he said: 'At the sub-continental context, Operation Vijay (the Kargil operation) is considered to be a bench mark for employment of artillery where overwhelming superiority of fire-power destroyed the intruders.' But on Jan 14, Singh had indicated that the army will break the jinx and buy some guns this year to spruce its artillery that has entered the stage of obsolescence. In January, the army refloated tenders for purchase of 1,580 155mm 53calibre towed guns and another 100 155mm 52calibre tracked guns. Several vendors from France, the US, Britain, Israel and Czech Republic were invited to respond to the tenders. 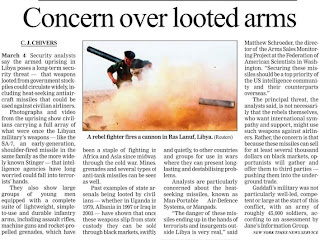 This tendering process comes after four earlier attempts last decade to buy artillery guns for the army, but all of which had to be cancelled due to the Bofors hangover after allegations of kickbacks in other defence deals led to blacklisting of some of the companies such as Singapore Kinetics, Soltam and Rhienmetall Defence. India is also in the process of purchasing 145 M777 155mm 39calibre ultralight howitzers from the US in a deal worth Rs.2,900 crore. Singh will be in the US next week when the talks on the purchase of the ultralight howitzers is likely to figure. Another artillery gun that India intends to purchase is the 155mm 52calibre wheeled and self-propelled guns numbering 180. But the tendering process of this is still in preparation with the army. Apart from the Bofors, the army at present operates 105mm indigenous field guns that are in service for over 30 years and are said to be obsolete needing replacement. It also has 130mm M-46 guns, which are the backbone of the artillery corps and which were due for replacement in the 1990s. The M-36 are being upgraded to 155mm by Soltam as an interim step.